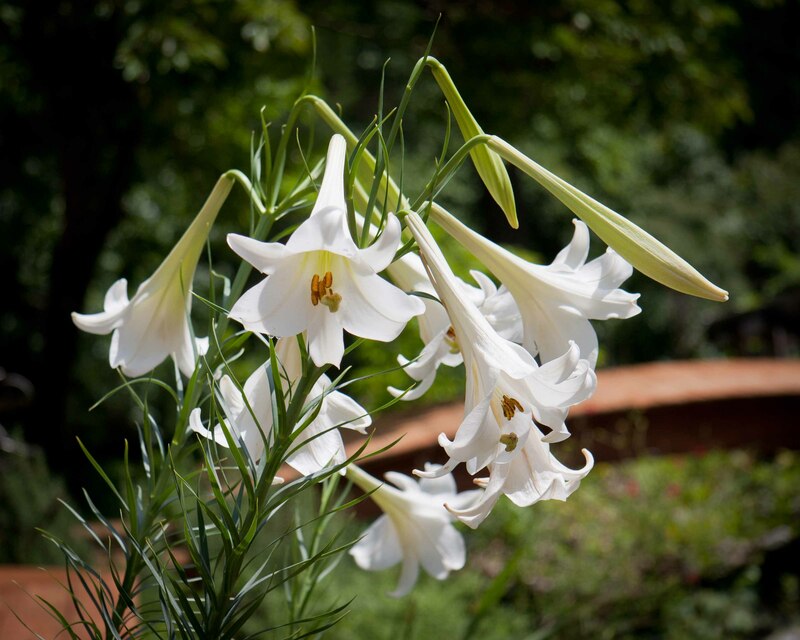 Imagine an Easter lily on steroids blooming blissfully through late summer heat and you begin to have an inkling of the wow factor that Formosa lilies (Lilium formosanum) bring to the landscape. 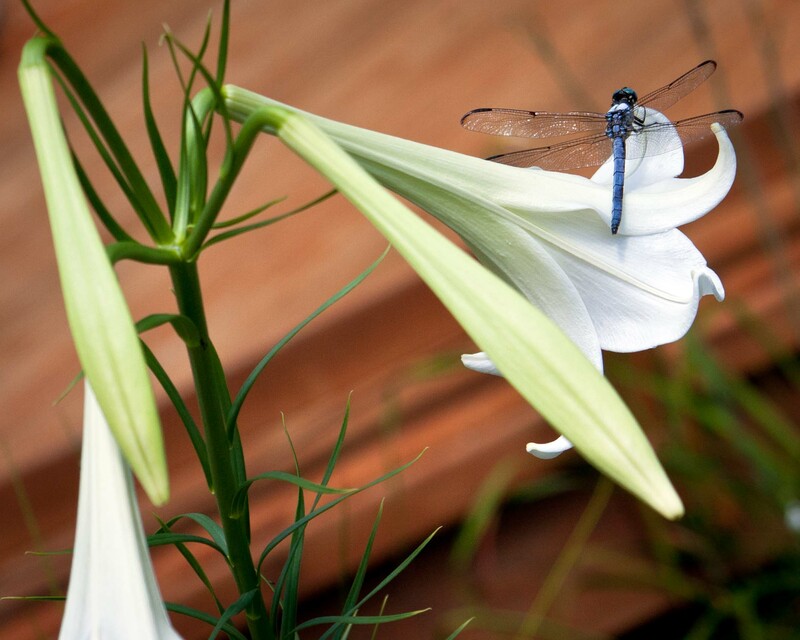 These Asian beauties produce 10-inch long, white, fragrant trumpets on stems that can top over 7 feet. Mine routinely tower over neighboring shrubs and flowers. My plants usually produce a cluster of 8 to 10 flowers per stem. The flowers are so large that visiting hummingbirds completely disappear into the trumpets. On a late summer morning when the air is heavy with humidity and thrumming with cicada song, the fragrance of these giants lingers over the garden. Their stalks tend to lean with the weight of the flowers, but I’ve never needed to stake them. Blooming lasts about three weeks in my yard. And that’s not the end of the show. After the petals fall, fat pods fill with papery seeds. As the seeds mature, the pods turn upward, producing an elegant candelabra form. When the pods open, breezes disperse the lightweight seeds all over the garden. I’ve had quite a crop of volunteer seedlings some years, but they are easy to remove or relocate, so I don’t consider this a fatal flaw. I use some of the dried seedpod structures in flower arrangements. But I always leave plenty in place to dress up the winter landscape. When one of our rare snows fills the candelabra cups, the effect is nothing short of magical. This entry was posted on August 20, 2011, 4:16 pm and is filed under Favorite Plants, piedmont gardening. You can follow any responses to this entry through RSS 2.0. You can leave a response, or trackback from your own site.